Dealers are once again looking forward to new registration time, perhaps more than they could have reasonably been expected to a few short months ago. There certainly seems to be a feeling, in certain quarters that, new car sales have grabbed the baton from used sales in recent months. With the dicey situation regarding stock looking set to continue into 2010, it will be more important than ever for manufacturers and dealers to get their marketing right. 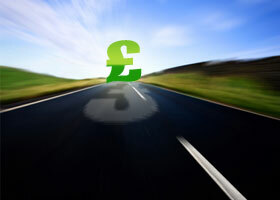 On top of the scrappage scheme, which certainly appears to be having the desired effect of shifting metal for many, look out for some headline grabbing deals and low rate finance rates which certainly will not be beaten by the high street lenders. The only problem is that dealer backed lenders are still being very selective about who qualifies for those great rates. Many dealers are hoping for a strong finish to 2009 because there will almost certainly not be the same explosive start to 2010 as there was at the start of 2009. Back in those far off heady days demand and supply were almost at one and everybody, customers and dealers alike, were taking advantage of the major bounce back which occurred. It is reckoned that demand has dropped but let’s face it, the holiday season is with us and it’s the month before THE month, so whilst showrooms maybe seeing some customers many will be tying up there 59 plate scrappage cars. For the used car buyer prices of convertibles usually start to soften slightly with summer (don’t laugh) nearing its end but with the way things have gone this year don’t hold your breath!